One of my biggest regrets in life is that I never took a gap year in between school and university or between university and work. 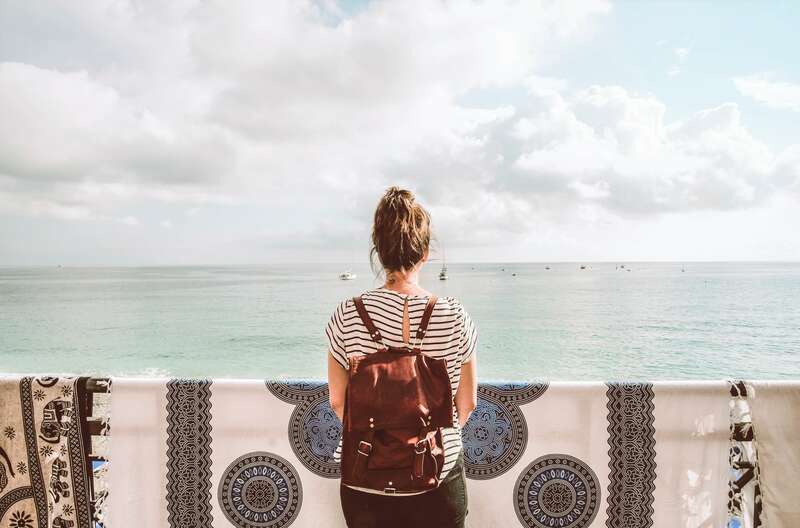 You work for so many years before you get to retire and enjoy life that you should make the most of travelling while you can and take a gap year – there’s plenty of time to settle down later! The top destinations for a gap year are USA and then Australia. The truth is that I didn’t used to have such a passion for travel as I do now and the thought of a gap year was never really one that I considered. I was keen to get university over with and get into work as soon as I possibly could. But it’s never too late to take a gap year! What could be more thrilling than a backpacking adventure? In fact, you can find more tips on saving money for your adventure at pathfindercity.com. It might not always be possible as you may have other commitments (kids, a house, a dog!) but if you can (and, of course, you want to! ), you should definitely take a career break and see the world. I think travel really helps open your eyes to new experiences and new cultures and the memories that you make whilst travelling are absolutely priceless. Netflights.com have recently published a gap year study and they found out why you should take a gap year. While travel is undoubtedly good for your body, mind and wellness (no news here! ), it can also help boost your CV and lead to more job opportunities. Travelling can also help improve your confidence – speaking to new people and planning a complicated trip all by yourself does wonders for your self-believe. 42% of people who have taken a gap year said that their confidence was improved as a result of their travels. If you’re going off the beaten track or on a trip that you’ve planned yourself, you’ll face plenty of challenges along the way. These situations will help you to develop good problem-solving skills and increase your awareness of the world around you. Some people who just want to travel Become an au pair. This means they travel broad and becomes someone who helps with housework or childcare in exchange for food, a room, and some pocket money. It lets them see the world and earn money and experience too. If you’re travelling alone, you’ll have lots of time to spend with yourself! You’ll learn things about yourself you never knew and you might return home slightly different to when you left. It’s also a great way to clear your head if you’ve recently had a setback in life as you’ll be able to take a break and reassess your life and your future. I’ll leave you with this one final thought – 19% of people who haven’t taken a gap year said it was because there was no one to go with. Don’t let that keep you from doing what you want to do. You’re bound to meet lots of people on your travels which means you won’t be alone for long and who’s a better travel companion than yourself? !